A family mystery set in small town Louisiana starts with the death of Danny Hoyle. At first it is thought that he committed suicide, but then the sheriff notes that the circumstances of his death were not consistent with his killing himself. Besides, the Hoyle family has made many enemies, since the father Huff Hoyle runs a metal pipe factory where the machines are very dangerous and there have been many accidents where workers lost limbs or even died. Danny's sister Sayre Lynch returns to her hometown from her life in San Francisco, and soon becomes embroiled in the family fights that she escaped from long ago. Sayre hates her family but she finds herself surprisingly drawn to the family lawyer Beck Merchant, even though she hates what he does. When it becomes clear that Danny was murdered, Sayre stays in town despite her better judgment. The story stays firmly rooted in the Hoyle family, who are the most powerful in the area. The book contains plenty of double-dealing, sexual liaisons, battles between management and unions, and surprise revelations. It is tightly written, including subtle clues right from the start about the dramatic surprises that come to light by the end. 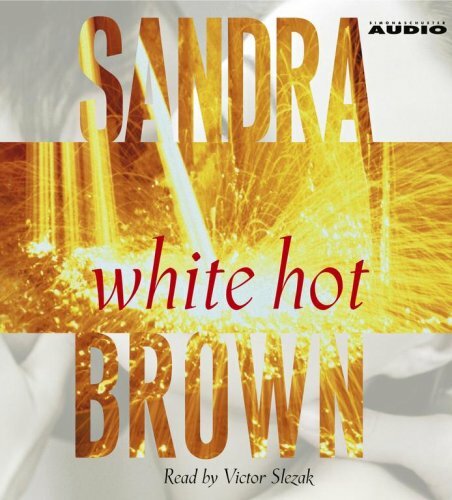 The main appeal of White Hot comes from the characterization of Louisiana and especially the factory scenes with their noisy and dangerous machines. Few of the characters are sympathetic and it is hard to care very much about whodunit, so there's not much motivation to pay attention to the minor characters or the plot twists in the middle of the book. The main character, Sayre Lynch, is not very interesting. Nevertheless, the story keeps going at a fast rate, and it is entertaining if a little confusing. Victor Slezak, an actor who has appeared in a number of movies and Broadway plays, reads the audiobook nicely. He does a good job with the accents and is able to keep the different characters fairly distinct.